Taglines: They're taking adventure to new lengths. 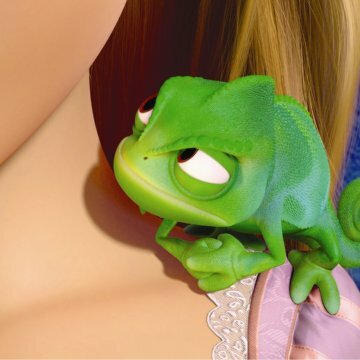 Disney's previous animated feature The Princess and the Frog, despite being popular with critics and audiences alike, was a box office disappointment. 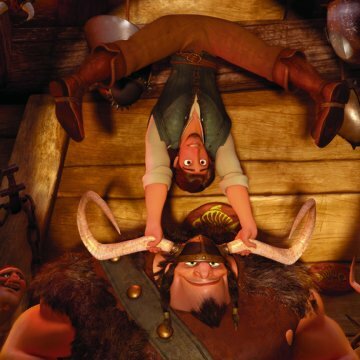 Disney felt that the film's princess theme discouraged young boys from seeing it. 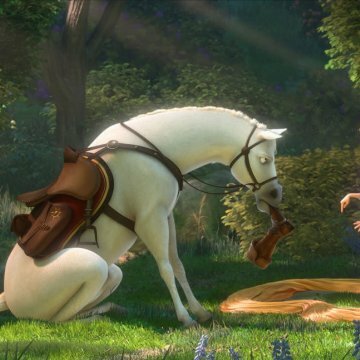 In an attempt to market the film to a broader audience, Disney changed the title of the film from Rapunzel to Tangled, and promoted it as a comedic adventure. 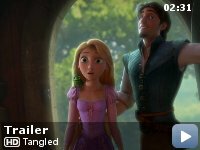 An early trailer for the film focused less on Princess Rapunzel and more on Flynn Rider, the male lead character. It was originally believed that Disney's marketing campaign was a desperate attempt to search for a particular audience. 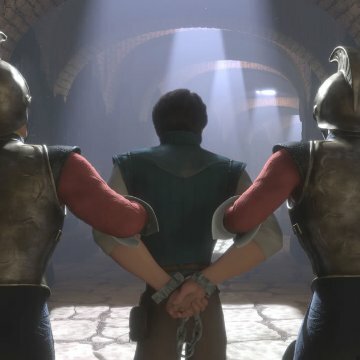 However, Byron Howard and Nathan Greno, claimed that the title change was to emphasize that Flynn has as much of a role in the film as Rapunzel. 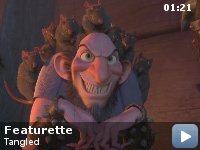 Incorrectly regarded as goofs: Rapunzel's hair is just long enough to pull Mother Gothel up, but it is also long enough to lower Rapunzel to the ground, which would take twice as much hair. 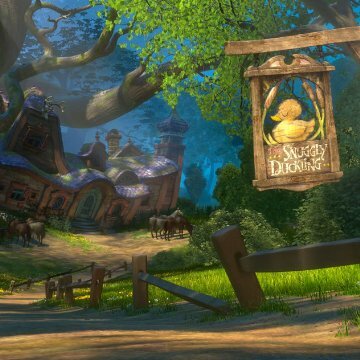 However, it is seen that Rapunzel loops her hair over hooks when pulling Gothel up, which would allow for half the hair to still be in the tower, with just enough lowered to serve Gothel. I saw the finished movie at the screening before the wrap party. The movie works on every level. The Characters, the animation, the story, the score, the romance, and it's all very cute as well (in a way Disney can apparently still pull off). The one thing that I didn't get into was the songs (Except maybe the "Mother Knows Best" reprise). They were a little weak melodically and you won't be singing them for weeks like I do "Part of Your World" every time I watch the "Little Mermaid." However, the songs are good enough not to bring the movie down. There are so many touching scenes in this movie and you will love all of the characters by the end and have an amazing time in the process. It is definitely worth seeing in the theater, as this is probably the prettiest computer animated movie I've seen. I just can't wait to see it in stereo!